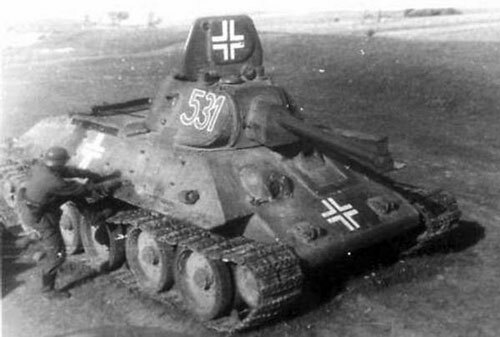 Captured Russian vehicles have always been of interest to me. 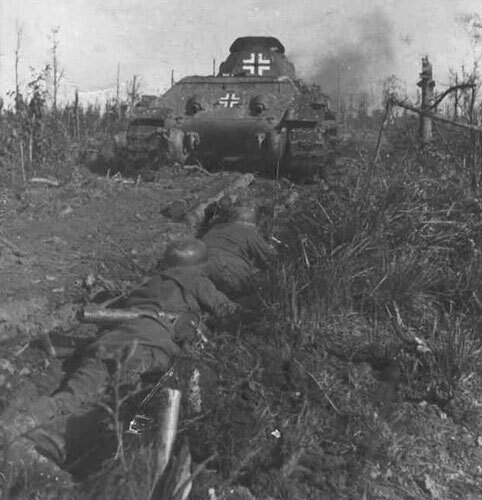 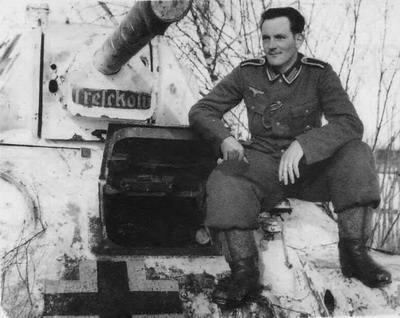 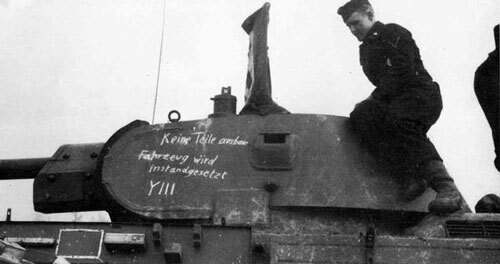 But when I read Evan’s great article on German Panzer markings, I thought I would add German Beutepanzers to the list. 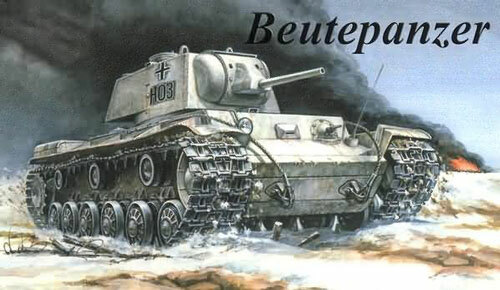 Playing with Beutepanzers in your army can add quite a nice gaming experience. 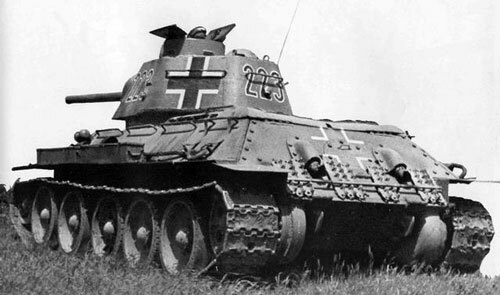 But that’s only half of the fun with painting and modeling the Beutepanzers being the other half. 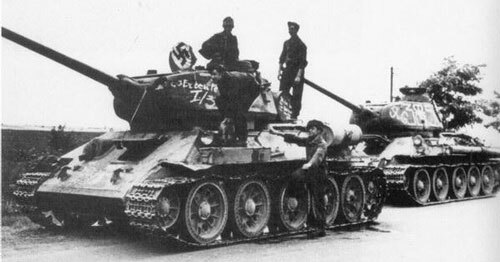 Right: The E-Mark system for some Beutepanzer types. 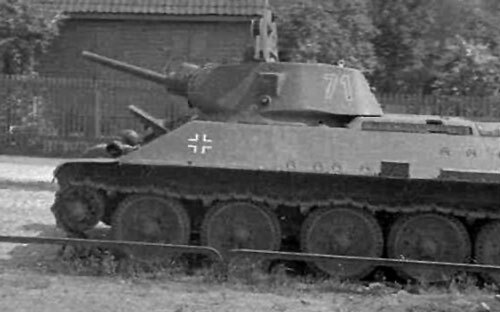 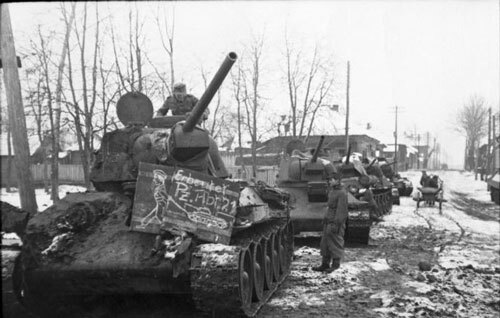 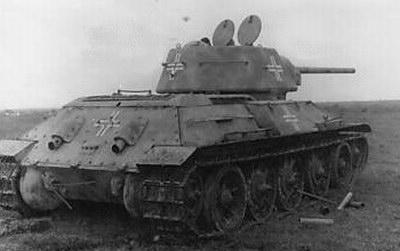 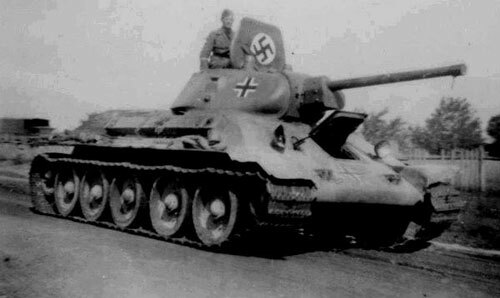 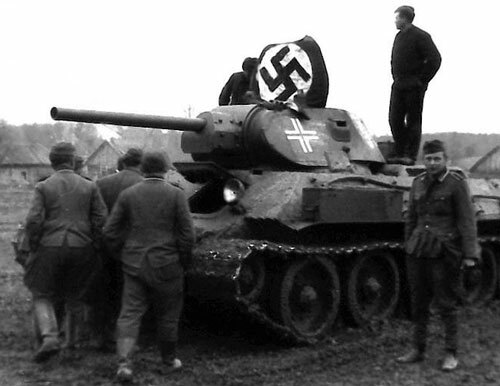 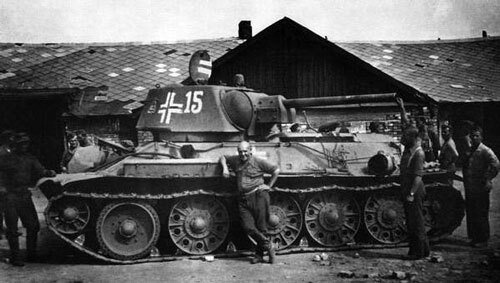 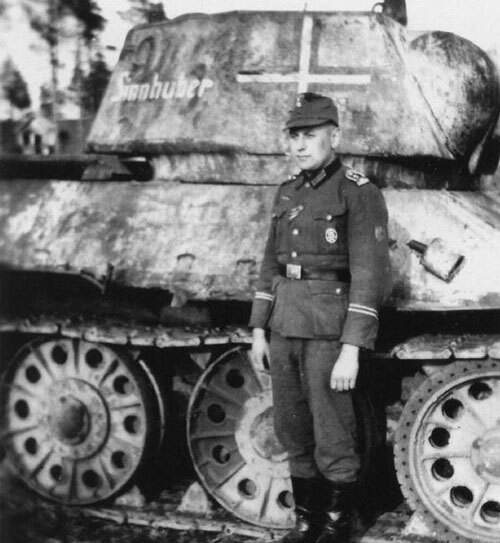 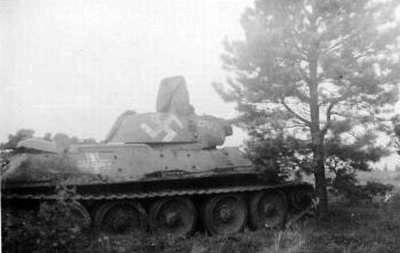 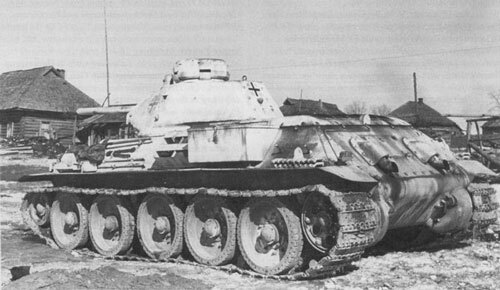 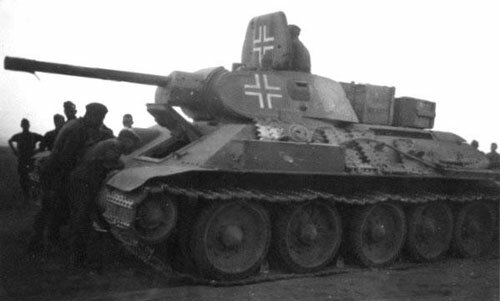 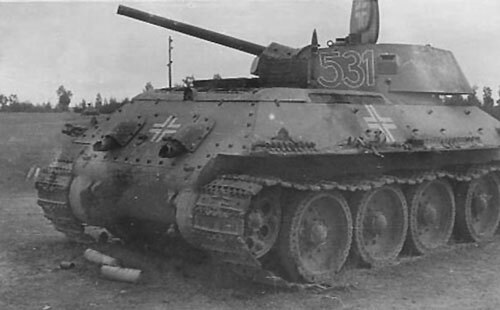 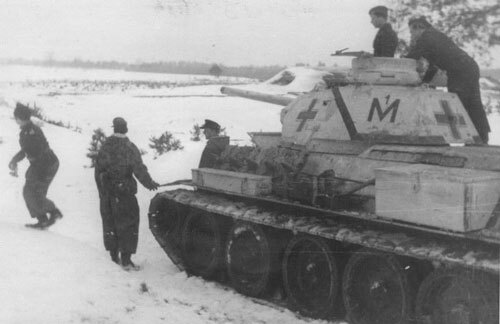 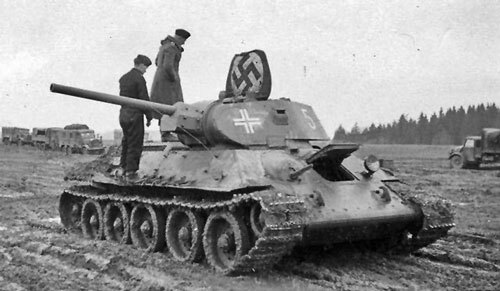 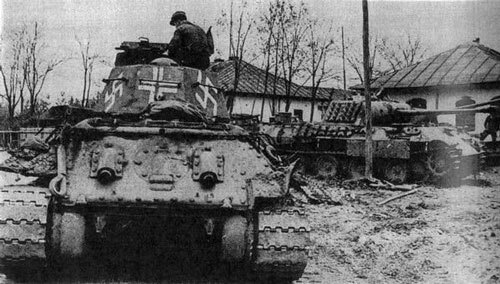 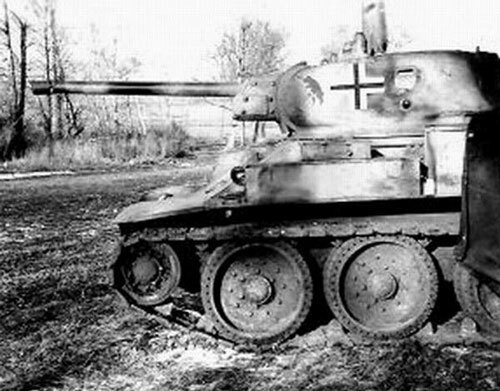 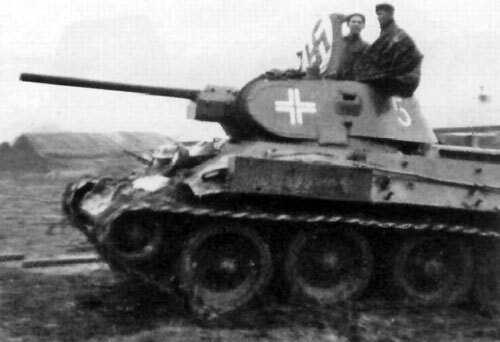 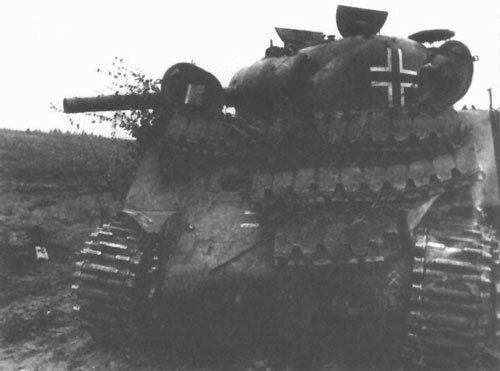 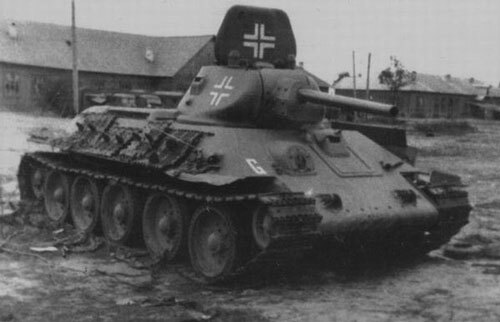 Left: Beutepanzer T-34 mod 1941/42 showing the location of some of its identification marks. 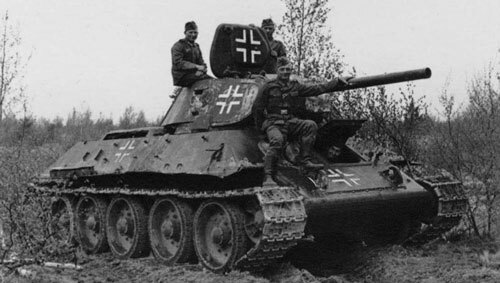 Beutepanzers saw just as much change to their paint schemes as the rest of the German Armored Core due to the different periods, areas of operation, seasons and special needs. 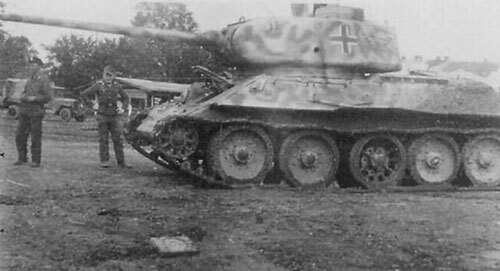 Right: Beutepanzer T-34 mod 41/42’s with a nice camouflage paint scheme. 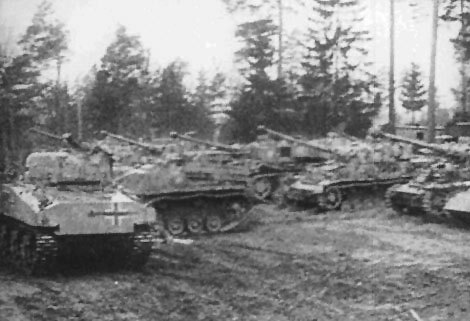 Left: Beutepanzer T-70’s with a camouflage paint scheme. 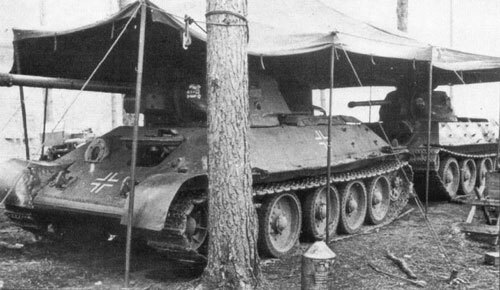 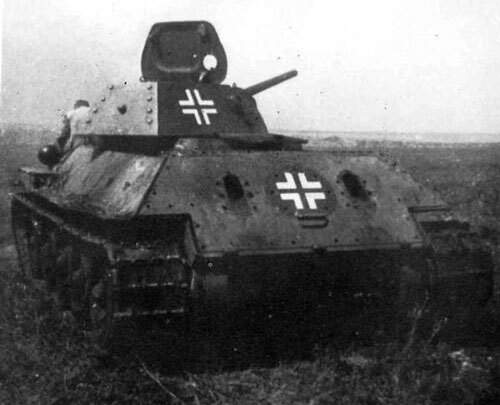 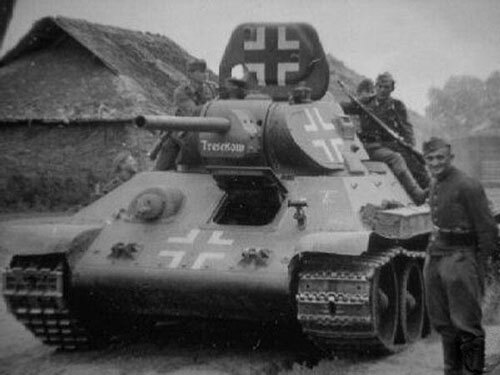 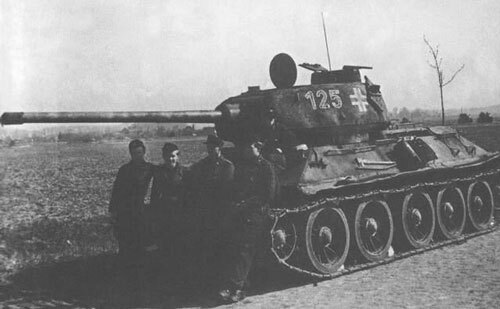 You can field a German Mittlere Panzerkompanie made up entirely of T-34 odr 1942 for Mid-war on page 32 of Eastern Front. 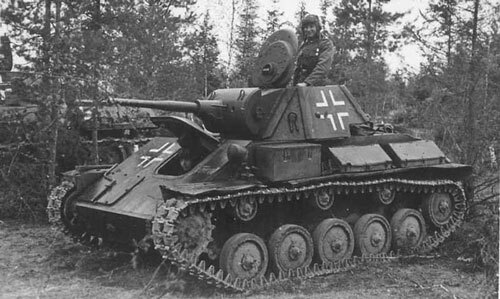 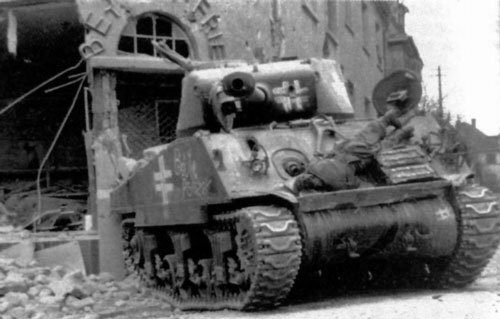 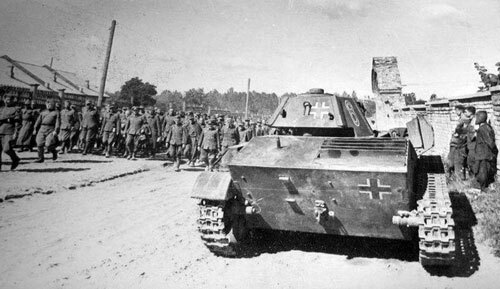 For starters, a lot of the Beutepanzers were repainted in the German Panzer Grey color, but as times went forward, these tanks also changed as the German tanks changed. 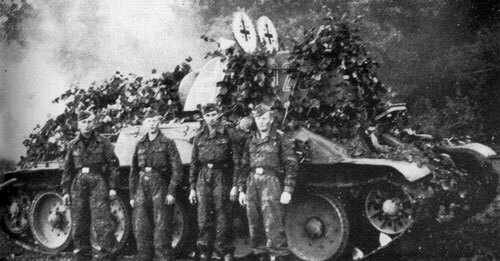 From the beginning of 1943 they began to use camouflage patterns (Please refer to Art of War II for a complete list of German Camouflage painting schemes throughout the periods) on the Beutepanzer. 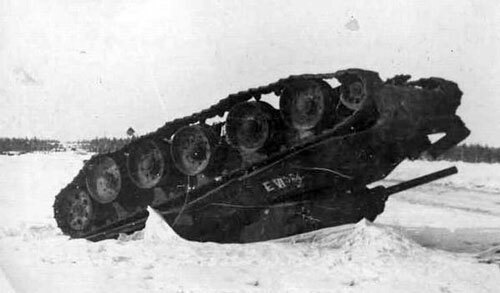 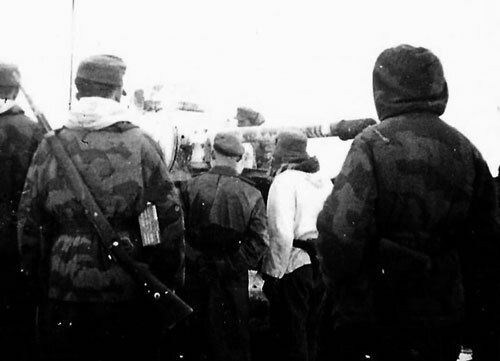 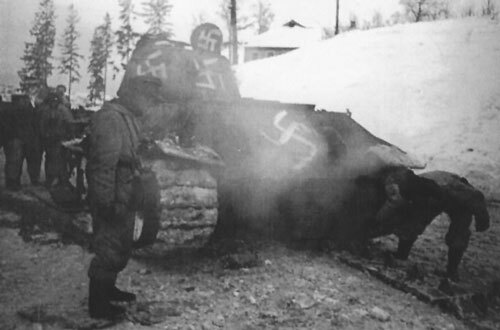 These tanks also followed the winter camouflage paint scheme. 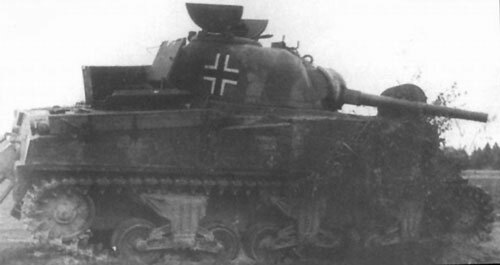 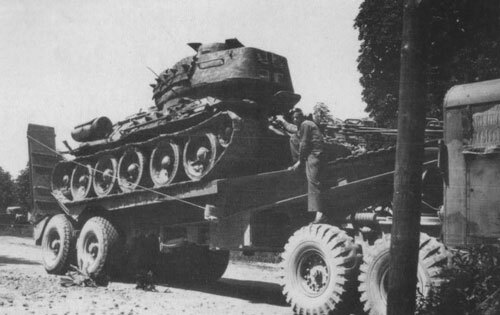 But records & photos also show that a ot of these tanks were left with their original colour scheme and went unchanged, except for their identification markings. 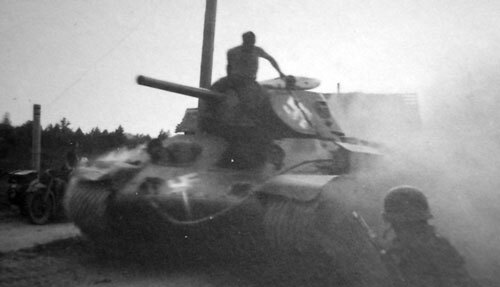 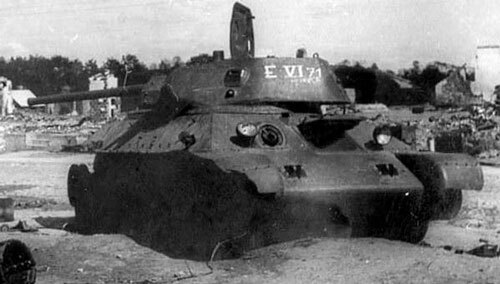 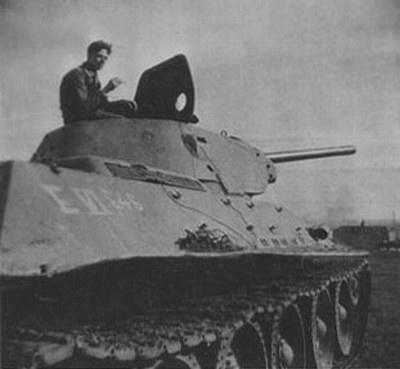 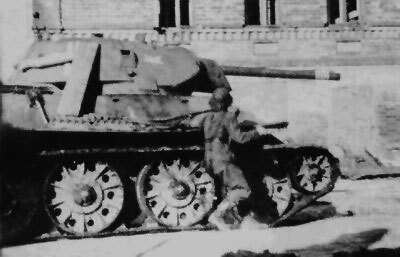 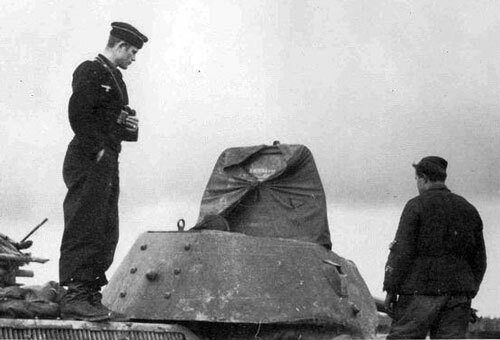 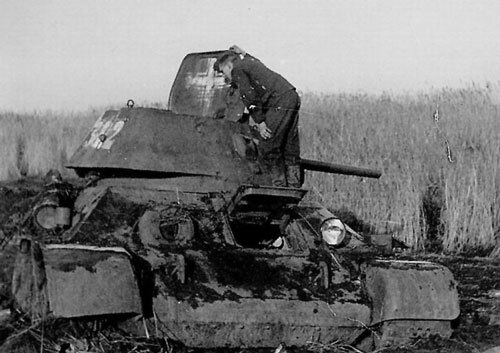 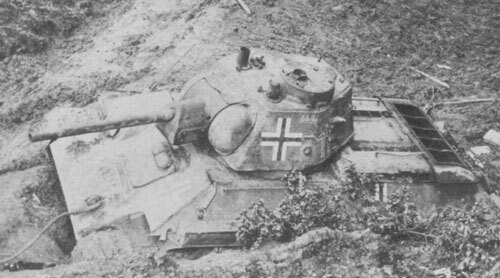 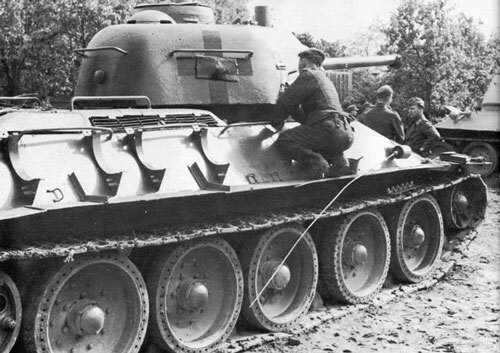 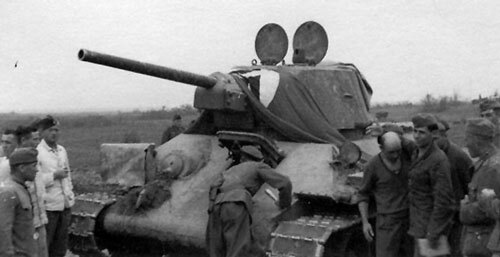 Left: T-34 mod 1941/42 using an E-Mark numbering system on the side (Rear section) of the turret. 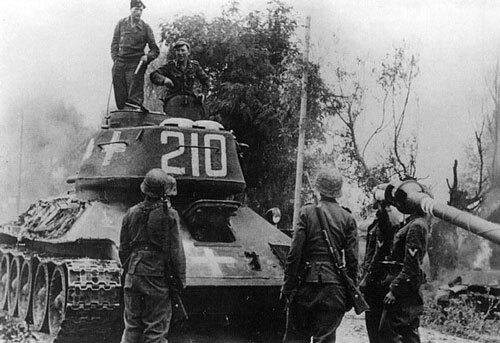 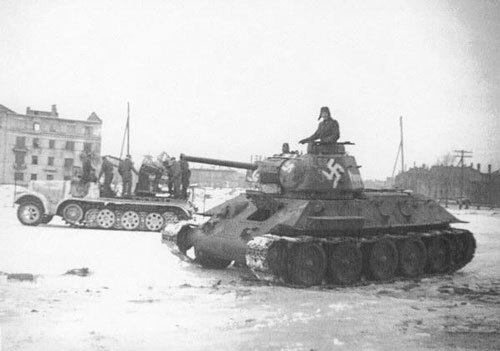 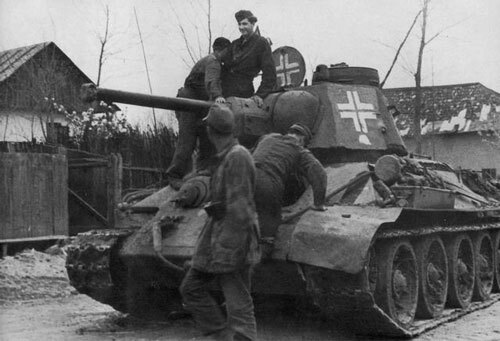 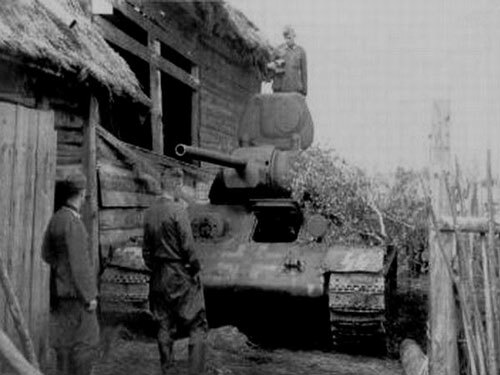 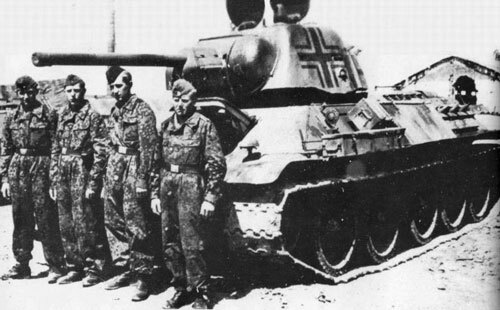 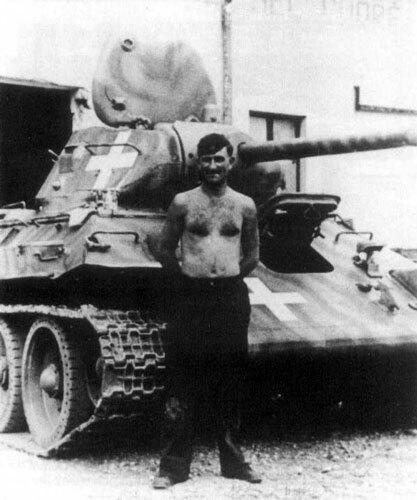 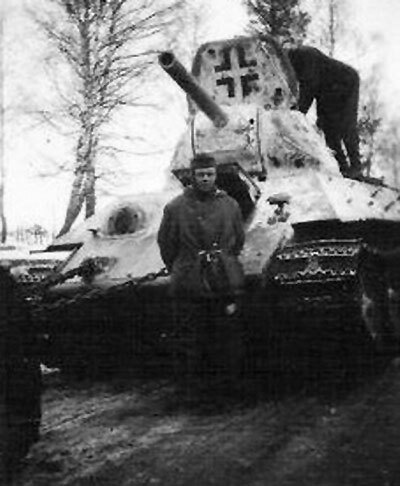 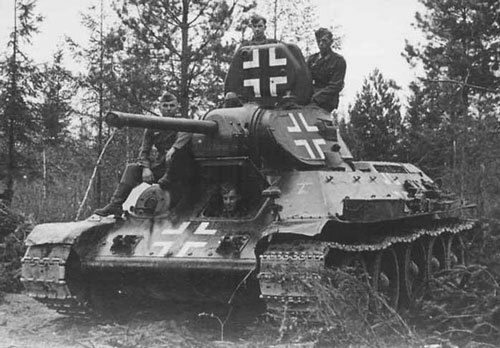 Right: T-34 mod 1941/42 with a Divisional Insignia on the side (Front section) of the turret. 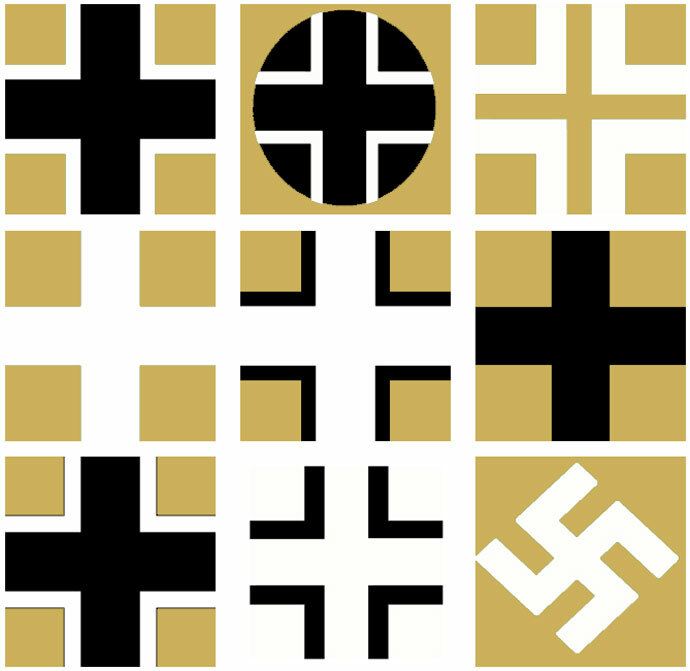 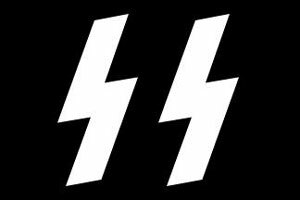 Below: 3rd SS Panzer Division Insignia. 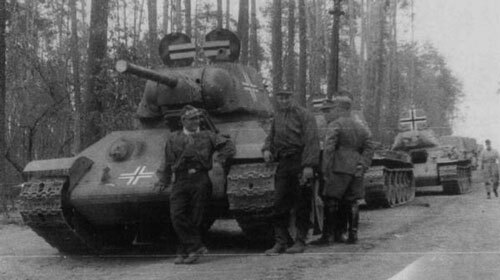 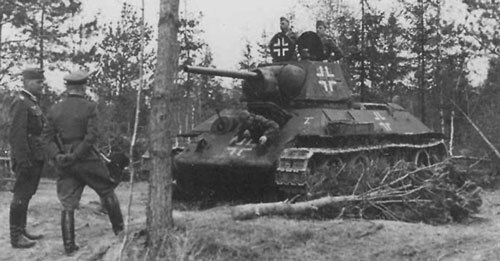 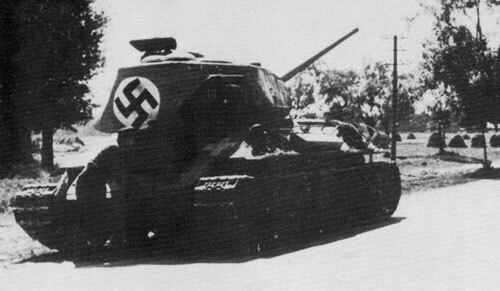 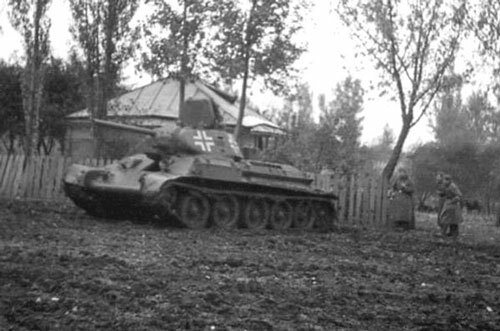 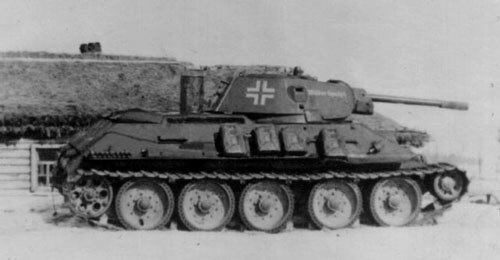 Left: T-34 mod 1941/42 with a Divisional Insignia on the side (Rear section) of the turret. 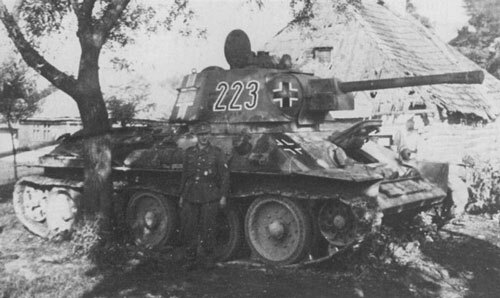 Left: T-34 mod 1941/42 with a Divisional Insignia on the side (Front section) of the turret. 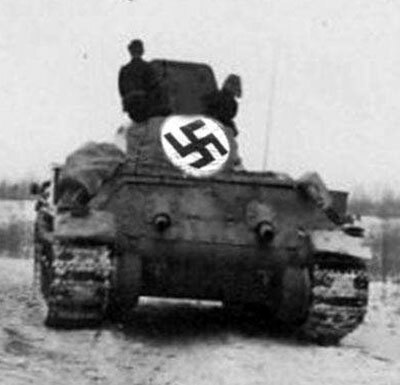 Below: 3rd Panzer Division Insignal. 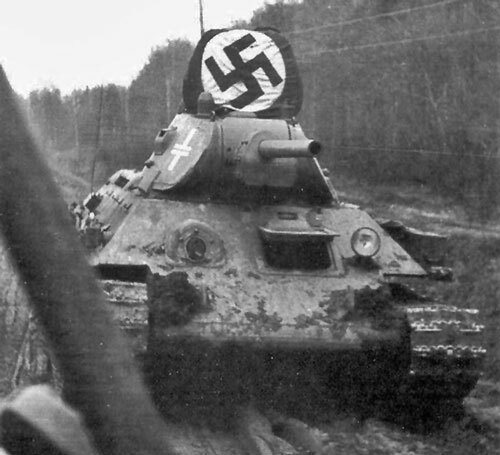 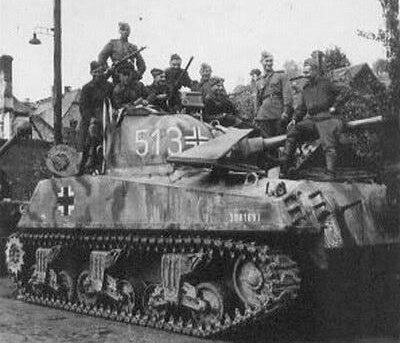 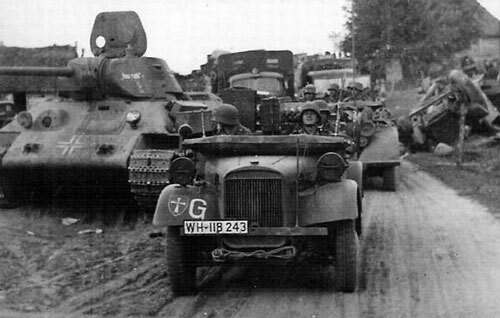 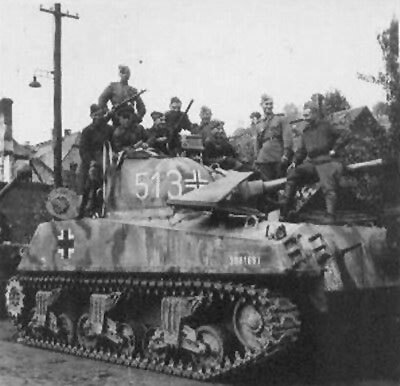 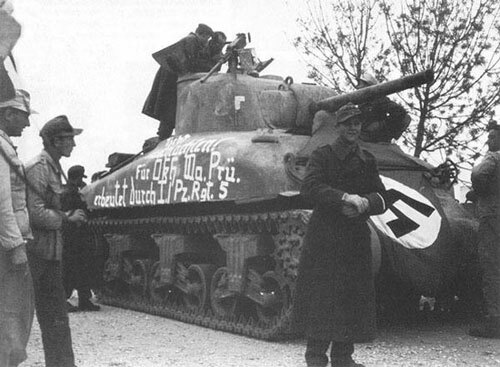 Left: T-34 mod 1941/42 with SS Runes on the front fender. 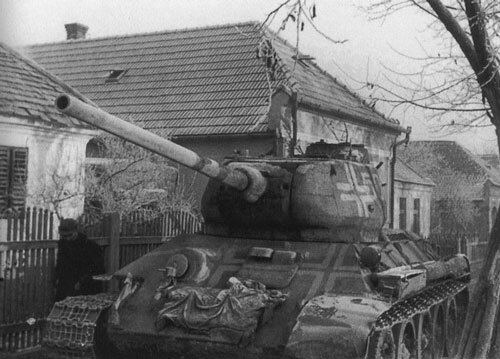 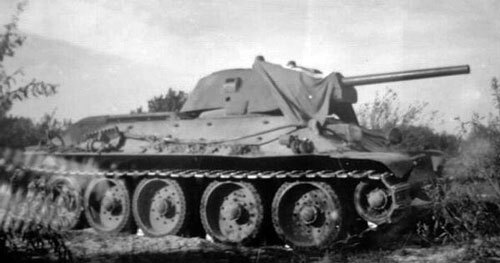 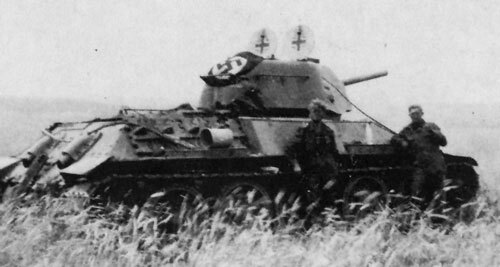 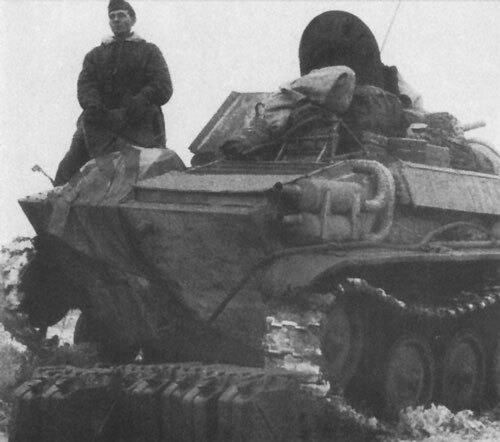 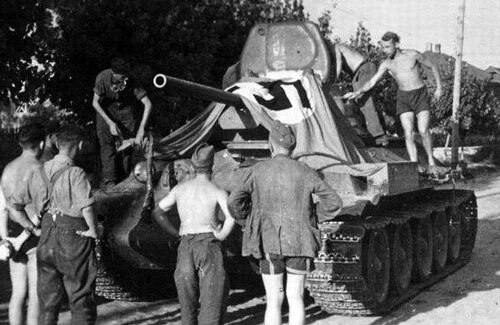 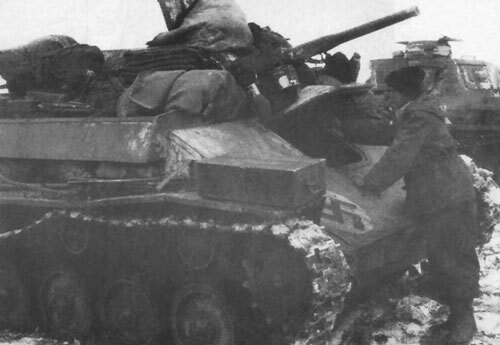 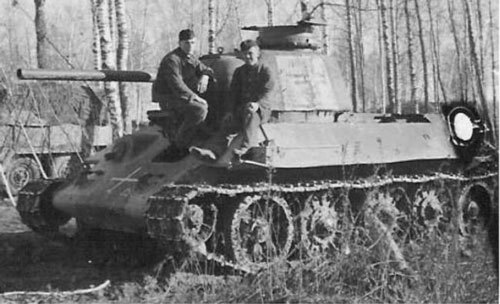 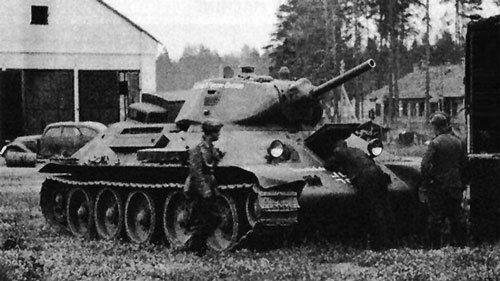 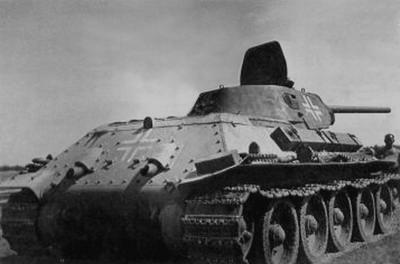 Left: T-34 mod 1942/43 with a Divisional Insignia on the side (Front section) of the turret.